It’s cold outside! Now that winter is here; it is the perfect time to have your carpets deep cleaned by professional carpet cleaners in Sydney. In winter your carpets are subjected to moisture, dirt and mud coming in from outside. You may think that as your carpets are just going to get dirtier during winter, you should wait until it gets warmer, but that’s not true. Carpets dry faster! Did you know carpet dries more quickly in winter than in summer? When it’s cold outside the warmed air inside your home absorbs moisture faster which means your drying time will be cut in half. This is important because the longer your carpet stays damp the more likely mould and bacteria will set in. Clean carpets can improve the quality of the air inside your home. In winter everyone spends more time indoors, so getting all those contaminants out of your carpet and improving the quality of your indoor air makes sense. If you spend more time INSIDE you want cleaner and fresher air to breath. Dirty carpets release all kinds of bacteria and dust into the air, so having your carpet cleaned during those indoor-bound months makes perfect sense. Your air will be better, and your home will smell fresher! One thing you need to remember is, not to over-clean your carpet, professional carpet cleaning for your Sydney home once or twice a year is sufficient. 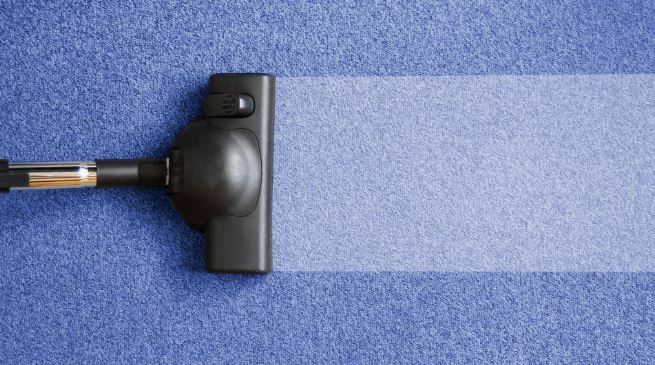 Houseproud Carpet cleaning services offer quality at an affordable price – they will remove the toughest stains and deep, ground-in-dirt leaving your carpets looking and feeling fresh and clean. This is achieved through an 8-step hot water extraction process by certified, licensed and fully insured carpet cleaning professionals. Carpet cleaning services include – carpet steam cleaning, water extraction from carpets, commercial carpet cleaning and much more. You vacuum your home regularly, but your vacuum cleaner is only removing the surface dirt, professional carpet cleaners use powerful high-pressure machinery that can remove not just dirt, but pet hair, allergens, fungus, dust mites and bacteria to give you the best steam clean. Stains are removed by using a specially formulated spot stain remover, and water from broken pipes or flooding can also be removed. All products used are environmentally friendly and natural, which means no harmful chemicals, everything used is safe for you, your family and your pets. Using environmentally friendly products also means there is no nasty chemical residue left behind. Thanks to the equipment used your carpets can be walked on straight away, and it will be thoroughly dry – depending on the weather and your carpet – within 4 to 6 hours.